Over the millennia we humans have developed a number of adaptive techniques in our arsenal of perceptions and responses that have aided our survival. Along with things like opposable thumbs is the ability of our perception equipment to rapidly fill in the blanks with limited information. Because careful deliberation of all options at the rate our senses absorb and process things fully would often result in death, the assumption shortcut is a handy survival skill at times. We are tuned to recognize patterns and rapidly fill in the blanks using our existing experience as putty. Our brains sacrifice accuracy for speed. Recognizing danger or finding food was sometimes built on the smallest of queues. In historical settings, filling in the blanks was highly necessary and often a matter of life or death. As a consequence we have keen sense of anticipation. Pattern recognition comes in handy in a number of ways. Knowing that animals walk a certain path at a certain time of day in rhythms is extremely valuable over using our feeble nose and claws to scratch out a meal. We have shaped our capacity for pattern recognition over the years into such things as the making spears and hooks, tents and fire. We have the advantage of predictive foreknowledge that we now use to service a variety of our needs. It also offers a number of other perks as well like air conditioning and plastic choo choo trains. Language itself may be an outcropping of pattern recognition. We associate a certain sounds with objects or events and over time; voila!! Blah blah… As with all the features of adaptive biology, pattern recognition does come with a cost. Two main points on this front: First; we see patterns where they are which is helpful, but we also see patterns where they are not which can be disastrous. Second; because patterns are what we use as a basic survival tool and they are the foundation of our identity, they also motivate us to obsessively defend and preserve them as our comfort zone whether or not they’re toxic, nourishing and/or neutral. Pattern recognition has been a sort of superhero in human adaptation. We have good reason to consider it our friend, but our friend has some baggage. We associate familiar patterns with comfort. Our tribal affinity is built on pattern recognition. This survival skill extends into where and what to eat, who is a friend or foe, but it can also be a trap. As children we learn to negotiate our world with pattern recognition as the divider between danger and safety, self and other. As a result, we tend to weigh what we have been exposed to in these early days as a “safe zone”, a familiar area. As a consequence, if we’re exposed to a toxic maladaptive relationship climate coupled with shallow thought stopping ideas, we tend to hold on to that as our safe zone throughout life, even though it objectively poisons our potential. In other words; we can be sincere and wrong at the same time. We can be patterned to cycle destruction in our lives and we can be unaware that we are the warden of our own prison. Our pattern recognition wetware leaves us very prone to confirmation bias. People who are brought up in certain cultures have a tendency to see their culture as the one true, correct, right, wonderful culture from whom all blessings flow, and all other cultures as strange, wrong, unworthy of serious consideration or abominable. Unless we learn to transcend our personal prejudices, they will shape what we see to fit inside their limiting lens and falsely confirm what we already think is true. Certain assumptions about people the world and events are installed on the surface of our eyes and ears, etc. by our experience, particularly early childhood experience. Whatever happens to go by our senses in the future is shaped by those experiences. Before we render a picture of what we see in our minds, it is reformed to fit our preconceived patterns. We can end up seeing nothing more than a reflection of our early developmental environment, not the real world. 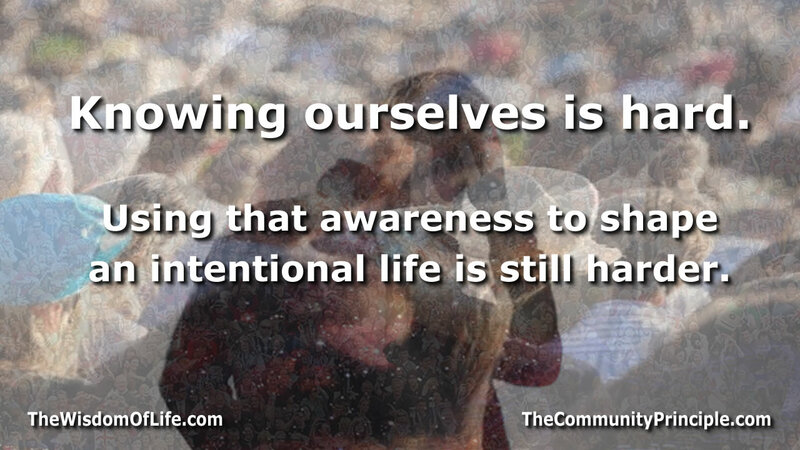 Plato described our awareness as a cave we must emerge from. A womb in which some of us float as a stillborn carcass never to emerge and see the light of day. Our clinginess to the familiar without respect to whether or not it’s nourishing also affects what we pay more or less attention to. In the social sciences there is something called a breaching experiment that examine our reactions to violations of commonly accepted social rules or norms. We get upset when things do not go as we expect them to even if that violation is not harmful at all. Our love affair with the familiar can be fun to watch. Another cost of pattern recognition is that we also pay more attention to strange things because our sensory equipment is tuned to identify and place new experience in the context of the familiar – the pattern. We get stuck on the unusual because we struggle more to frame it in our personal context. That’s the reason we generally see the likelihood of a plane crash as more frightening than the likelihood of a car crash even though planes are much safer statistically. Our perception is warped by our obsession with the familiar and our need to grapple with the unfamiliar. In summary, pattern recognition provides us with comfort in the familiar, but it comes with downsides. It leads those of us who have a toxic or myopic familiar environment to be more comfortable reinforcing that toxic swill. Some of us have to collect so many negative social stamps per week in order to fill up their stamp book. Some of us cycle through broken relationships with substances or behaviors. Some of us think our values are what we decided when the truth is they are more often a reflection of what we were exposed to. This doesn’t mean we’re hopelessly locked in a prison of happenstance. It means coasting toward full self-awareness is not an option. We have to work at it because we are geared to project our prejudices on our social landscape and use that projection as a stand in for reality. Our relationship with the familiar is of course necessary, but the point is, if we don’t get both the strengths and the limitations of any of our human faculties, we’re prone to suffer an inability to use clear vision as the means by which we navigate. The idea that we influence others by trying to install our point of view about what they should do has not worked very well for us as a human race so far. 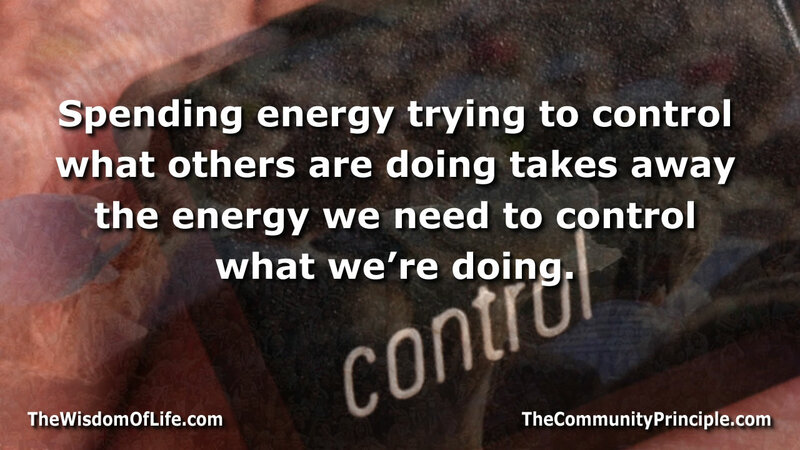 Occasionally we have been able to force compliance, but sustained behaviors come from commitment, not compliance. Perhaps we should consider the idea that this energy we spend attempting to edit the behaviors of our peers would be better spent editing our own. This is part 4 of 5 on a series called: “The Language of Life”. These are thoughts on how reality and more specifically biology communicates and how this communication relates to everything from our personal lives to what we face on the global stage. For any species to continue it must maintain the capacity to adapt to the environment in a sustainable way as well as pass on the ability to sense and negotiate the environment to their offspring. Adaptability takes many forms, but one common thread that runs through the entire body of life is the need to live within ones environmental means – to establish and maintain equilibrium or endure the consequences of disequilibrium. If a species exploits an environment beyond the environment’s capacity to replenish, it leads to the demise of that same species. While an immediate increase in population might come as a result of some quantum leap in the capacity of a species to exploit the environment to draw nourishment, if that new capacity exceeds the carrying capacity of the environment to renew itself, the stage is set for a population crash, even though that crash may be displaced in time. Another illustration of the need for equilibrium communicated through biology is the need to provide and receive nourishment in order to continue. 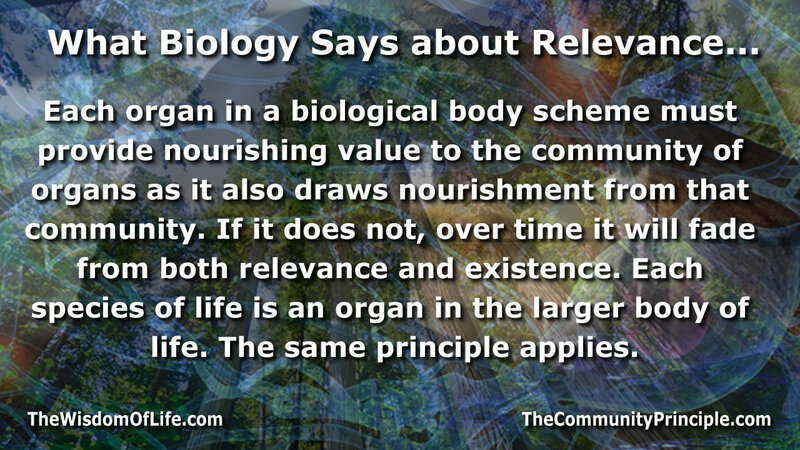 Each organ in a biological body scheme must continuously adapt to provide nourishing value to the community of organs as it also draws nourishment from that same community. Because environments change, the need to be flexible is also important. Vestigial organs are those that fade from relevance and eventually existence because they no longer provide anything of nourishing value in the context of the body’s community of organs. Each species of life is an organ in the larger body of life. The same principle that applies to organs in the body, applies to a species in the context of the body of life. Humanity must recognize and behave as if our place at nature’s table is provisional on our role as cultivators of nourishing value in the context of the body of life. Being aware of this role is not sufficient, nothing short of performing this role will sustain our place in the body of life. This fact of life is stated plainly through the structure of biology. Part 3 of 5 on a series called “The Language of Life”. This series explores reality, and more specifically biology, as an engine of communication. Based on the communication made through the cosmos, it explores what it says about who we are, how we can understand and apply this information to find fulfillment and where we might be going in the future.